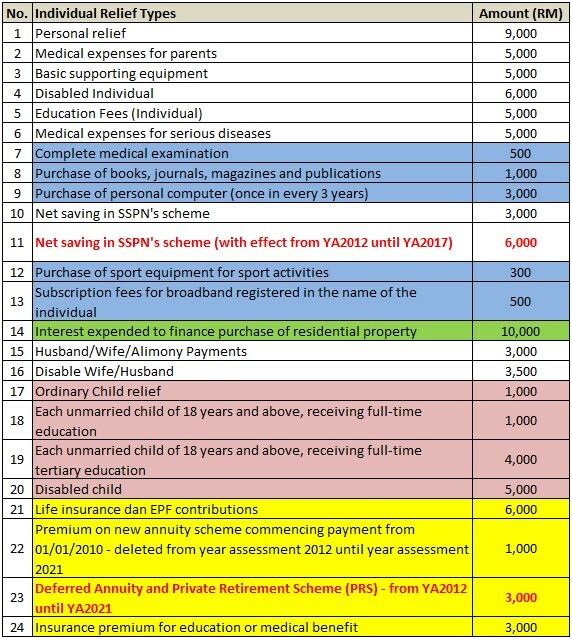 To recap, contributions into a PRS scheme can enjoy a tax relief of up to RM3,000 from YA2012 - YA2021. If you did contribute some money into a PRS scheme in 2012, congratulations, you're entitled to PRS tax relief for YA2012. If you haven't, no worry, you still got time to start contributing before the end of this year. 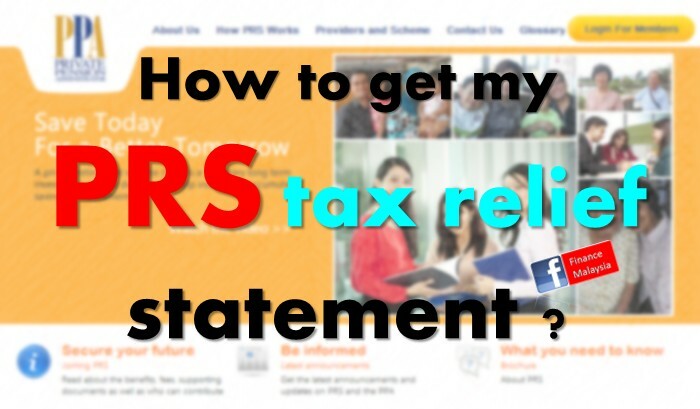 Finance Malaysia hopes this article doesn't come late to give you some info on Personal Income Tax filling for year of assessment 2012. Maybe due to the general election, which had diverts our attention lately. Lol. Anyway, do remember to file your income tax before 30th April oh!!! Well, here is the list of Personal Tax Relief for YA2012. And, I would like to highlight to you, in RED color words, some changes/differences from previous year. Private Retirement Scheme (PRS) is the NEW item which can help you reduce tax further with additional RM3,000 tax relief from YA2012-YA2021. As such, Item No.22 would be replaced until after YA2021. All other items remained the same. Do reduce your tax payable by maximizing the tax relief amount. Remember to keep a record and file it properly. Happy tax filling. Thanks. Credit cards have become a part of life in Malaysia. But as much as they make life a lot more convenient; credit cards can also lead to an unmanageable amount of debt. In some cases, credit cards have even led to bankruptcies. If you have a credit card debt that seems to be spiralling of control, it may be the right time to consider debt consolidation. 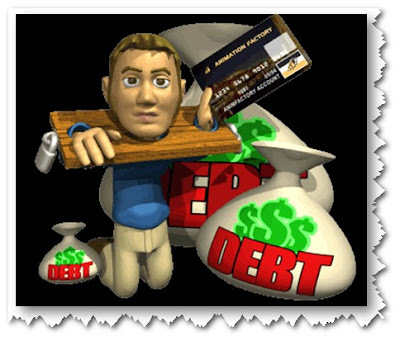 In Malaysia, there are two common debt consolidation methods that are highly workable.